Home » Self-balancing Scooter » Reviews » Segway MiniPro Review – How good is the Ninebot Segway hoverboard? The MiniPro outdoes the competition on most aspects. 90% of the features are fantastic. There isn't anything to complain about, but why would there be. Segway was the ones who started this era years ago but just didn't reach their full potential until just now! Segway has a name in the field since it was the first company to introduce the world with such a product. Therefore, there is no in miniPro’s durability. It is by far the best option! The MiniPro has a lightweight magnesium alloy frame. The material is similar to that used in aircraft construction; hence the MiniPro is very light. Its dual motor engine provides power of 1600 Watts in order to reach the top speed and make up for distances travelled. The padded knee bar is there for your comfort. It also allows for more precise steering rather than foot-pivot steering of other electric scooters or hoverboards. 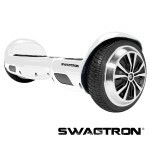 Segway MiniPro is now available in both black and white, so you can pick up the one you like. The only thing that we found irritating about the Segway Mini pro was the feature that force brakes when you reach the speed limit of 10 mph. This unit would have had no problem going 15 mph or even faster but this is probably a lawsuit issue that they are trying to fend off. Hence the feature. Other than that there isn’t anything bad about this hoverboard. Stable as can be, safe as can be and just as fun as a hoverboard should be. So, you must have heard that hoverboards have become one of the hottest toys! Yes, and that is because they don’t only look cool, these two-wheeled scooters are used by all age groups. They are fun for almost anyone; whether they are kids or adults, almost everybody loves to ride a hoverboard. Apart from this growing popularity, their tech trend has a drawback; they have become notorious for catching fire and exploding suddenly. Therefore, you need to know which company to trust when it comes to buying a hoverboard. That’s what we are going to help you with; get the Segway miniPro. Or you could go for another model in the Mini-family, the Segway miniLite which also works great for children. 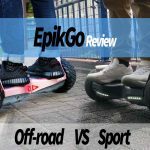 In this Segway miniPro review, we will take you on the tour that is the MiniPro and go through at all the different features and our test data of the hoverboard in order to make it easier for you to make a choice. A thing that has caught our eyes are the fact that when hoverboards started to make its comeback with UL certificates for higher safety is that both Segway and Swagtron claims to have been the first UL approved hoverboard. Which one who actually did get their UL certificate first however is for the time being a mystery. Well they say, it is not just a hoverboard, Segway miniPro is a whole new level! These self-balancing personal transporters are much better than ordinary hoverboard in a lot of ways. Thanks to new technology, better software, and stronger hardware, the performance is top-notch. Segway was the first company to come up with such a personal transporter to rock the world. Similarly, they have come again to surprise us with the Segway miniPro which is one of our top pics for a reliable hoverboard these days. A proof of this is the fact that Segway minoPro is the first hoverboard of its kind to get the UL 2272 Certification (even though stated otherwise by some): it has the highest standards of fire and electrical safety requirements. In addition to that, the product is also a safe choice because it contains highly sensitive sensors which can automatically detect even an insignificant movement of the rider, and thus help the rider maintain stability over various indoor and outdoor terrains. And an auto deceleration in case you’re riding at a high speed. Thanks to its pneumatic tires, the miniPro can resist shocks by absorbing them. Its air-filled tires have been designed to perform well on various sorts of terrain in order to ensure that their shock-absorbing characteristics are suited for every condition. These pneumatic tires are larger than those commonly found on other hoverboards, making them better at absorbing shocks. In order to keep the rider safe, a refined tread has been added on the tires. This tread is there to minimize the chances of skidding and also to reinforce grip. No doubt, Segway mini pro is second to none in terms of tires and their quality. You would forget other electric scooters and hoverboards once you ride on Segway hoverboard. Now you don’t have to pivot your weight on each foot individually when making a turn! With miniPro’s precision steering knee bar, life has become easy. All you need to press left or right on the kneebar. This innovative knee bar has made maneuvering easier and much more precise. In addition, the height of the knee control bar can be adjusted so as to make sure that it fits every rider. The Segway miniPro has a very powerful battery. It has a UL certified lithium-ion battery which is very robust and that’s why, riders can go up to 14 miles after a single charge. Yes, you read that right, 14 miles! Other than that, there are no compromises made on the highest speed: it can take you to 10 mph. As a matter of fact, it can go on 15-degree graded slopes as well. MiniPro has been designed to accommodate rider who are up to 220 pounds; therefore, if you are a little overweight, no need to worry! Segway believes in superior visibility and that is why the Segway miniPro comes up with customizable LED lights. Whether you are riding during the day or at night, you will have great visibility. There are automatic headlights and taillights that help you be visible to others and also light your way. When it comes to customization, miniPro has no parallel. You can choose from 16 million color variations for your taillights. Isn’t that great? When we said that the Segway miniPro makes use of new technology, we really meant it! With the access to an app, you can control numerous functions of your miniPro. Yes, that’s right. From finding riding tutorials to changing safety features to adjusting colors of light, you can carry out all such operations via the app. The most important feature would be the ability to lock the miniPro with an anti-theft alarm. If someone tries to move it, the app will trigger a phone warning to inform you of a theft attempt. After our review of the Segway miniPro, there is no question which hoverboard is the greatest right now. That’s probably the reason why the miniPro has grabbed 4.4 stars out of 5 in feedback from over 450 previous customers.